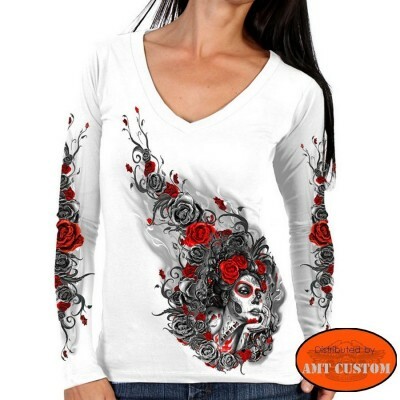 Butterfly Heart Long sleeved ladies tee-shirt - Round neck. 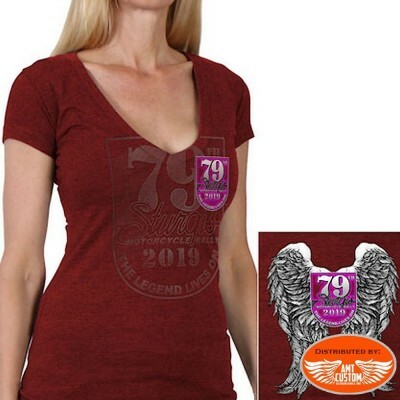 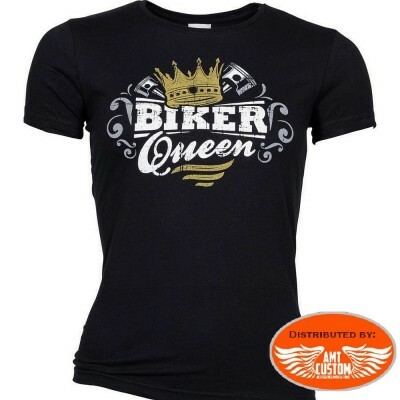 Purple sturgis motorcycle tee shirt lady rider- angel wings Purple sturgis t-shirt for lady rider and angel wings printing on the back side - See tab "MORE INFO"
Red sturgis motorcycle tee shirt lady rider- angel wings Red sturgis t-shirt for lady rider and angel wings printing on the back side - See tab "MORE INFO"
White sturgis motorcycle tee shirt lady rider- angel wings White sturgis t-shirt for lady rider and angel wings printing on the back side - See tab "MORE INFO"
Lady Skull Sauvage Lucky 13 tshirt. 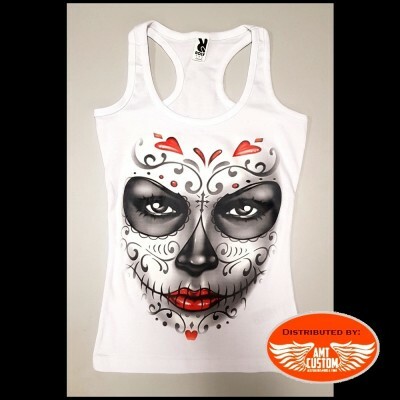 Lady trio Skull Lucky 13 tshirt. 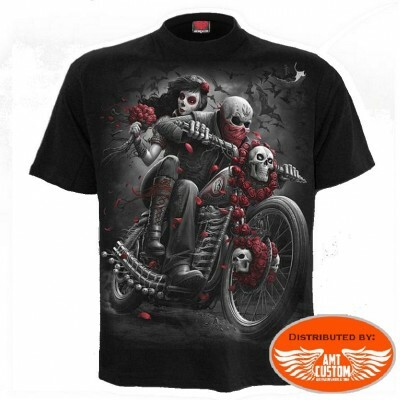 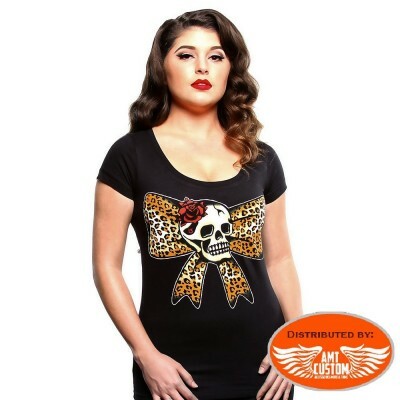 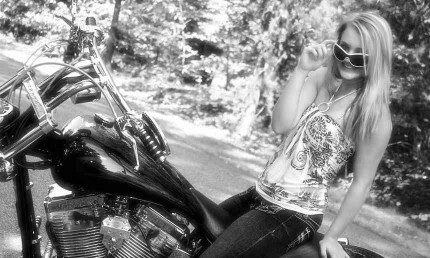 Lady Top "Lethal Angel" Skull roses... - Round neck and racerback ... See "more info" tab. 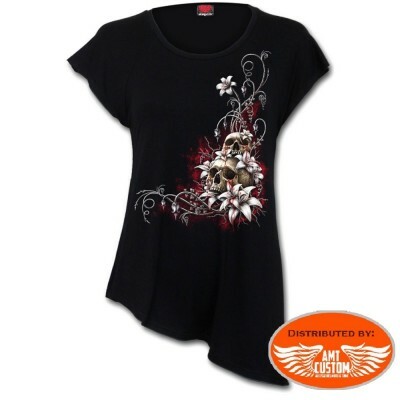 Lady Top "Lethall" Painted Soul - Rounded collar with back width. 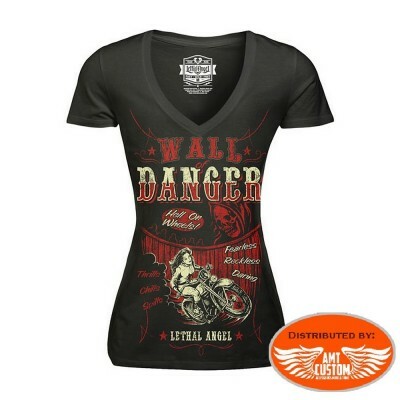 See the "Learn More" tab. 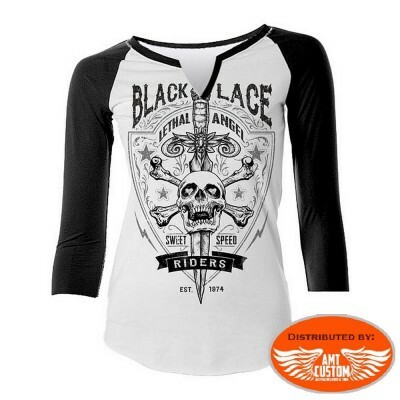 Long sleeved ladies tee-shirt - V neck. 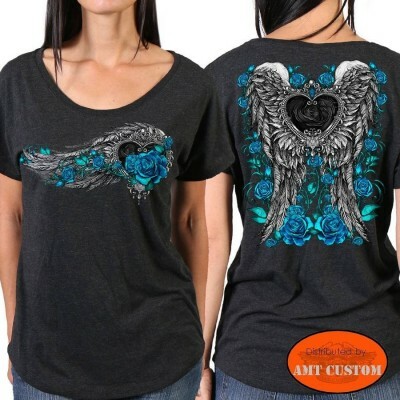 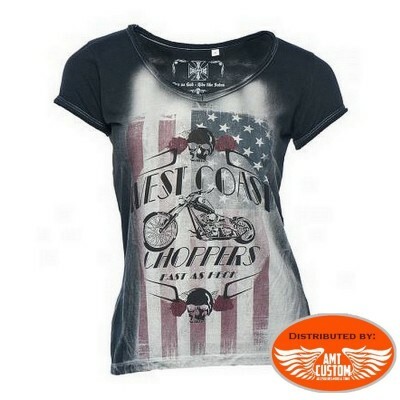 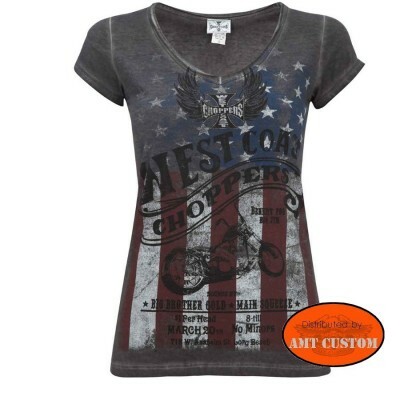 Racing Heart Lady Tee-shirt - V-neck... See " more info" tab. 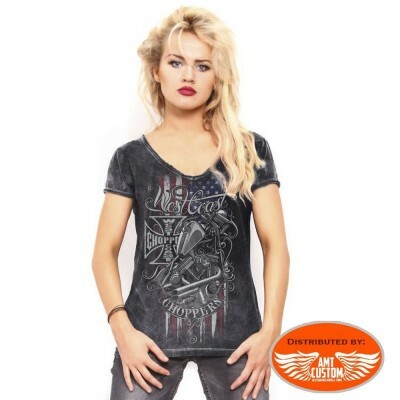 Wing Skull BurnOut Grey T-Shirt. 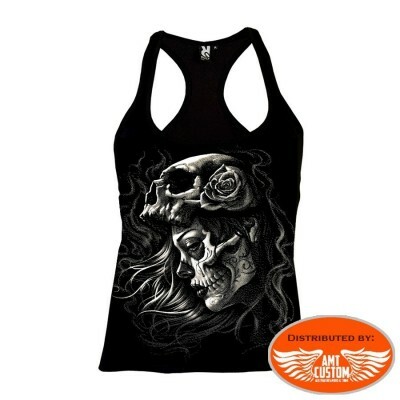 Lethal Indian rhinestone lace-up tank top. 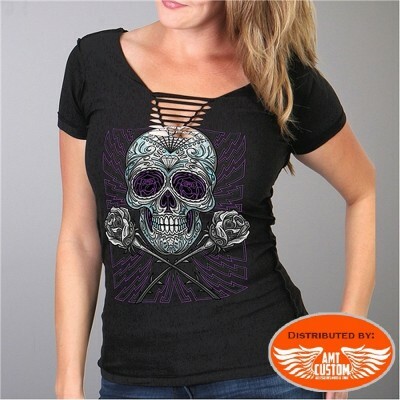 - Rounded collar with lace and rhinestone details See the "Learn More" tab. 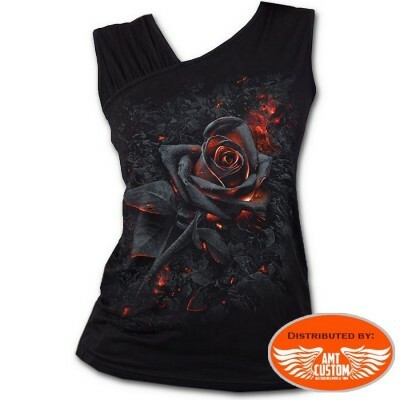 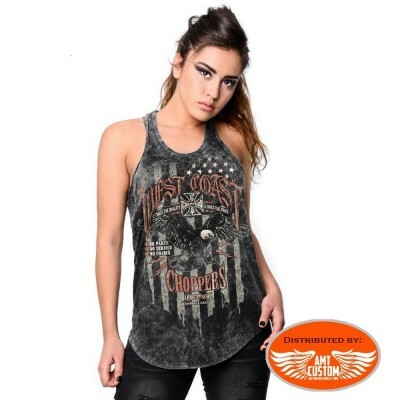 Lethal Western Roses lace-up tank top - Rounded collar with laces detailsSee the " More info" tab. 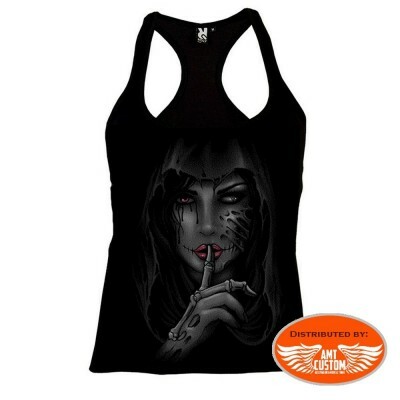 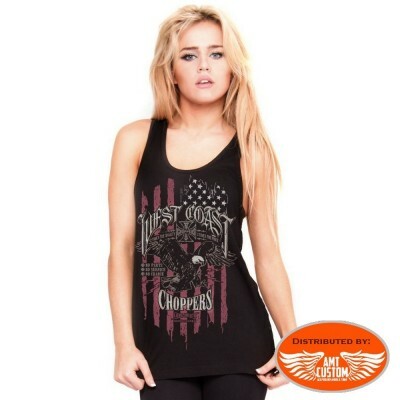 Lethal Most Wanted lace-up tank top - Rounded collar with laces detailsSee the " More info" tab.